Just south of Lima you will travel along Peru´s Desert coast, a stretch of coastline bear and barren but beautiful at the same time. Featuring many wonderful ancient attractions and some nice beach resorts. 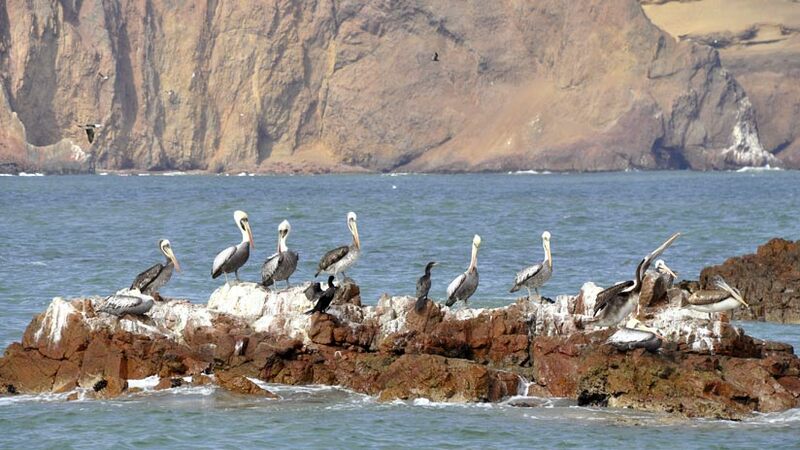 The area also features the naturally spectacular Paracas National Reserve, a heaven for wildlife like no other. Take some of the many Paracas Peru tours on offer or take a local bus and enjoy this not often seen part of Peru. What is the best time to go to Peru and Paracas you may ask? With no rainy season the park and surrounding areas is available for visiting all year round. You will not be short on places to visit in the Paracas National Reserve, some of the attractions in the area to visit we will feature in this article, so if you plan a trip to Peru this year make sure to include this special part of Peru. 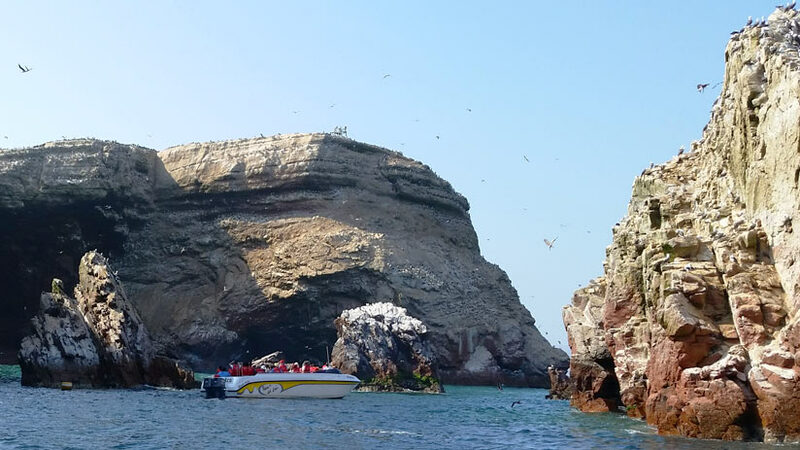 From the town of Pisco around 4 hours from Lima, you can take a boat trip to the Ballestas Islands, located within the Paracas National Reserve. The Islands are famous for; well they are more rocky outcrops than islands, the thousands of birds that call them home. Some of the species that you will see are the Blue Footed Bobby and the Guano birds. However, what most people come to see is the Humboldt Penguins and the Fur seals and Sea Lions that pass their days laying in the sun. Most tours are around 2 hours and be prepared for the noise from the sea lions that will approach your boat. You are not allowed to leave the boat and walk around the islands; this is illegal as it disturbs the wild life. 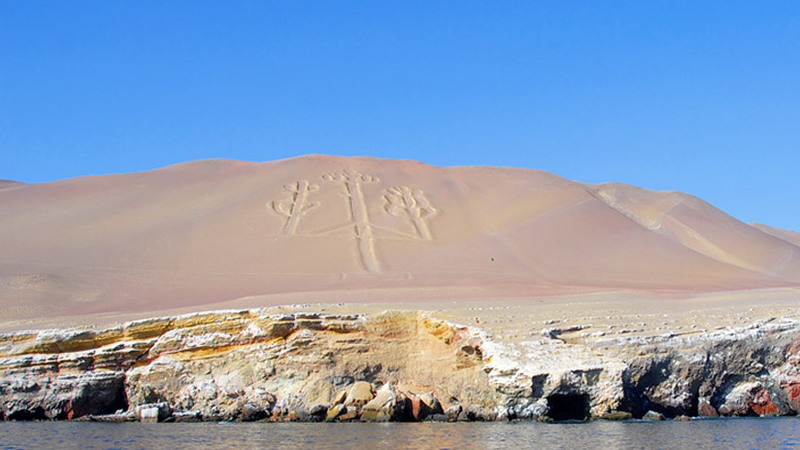 On your tour to the Ballestas islands you will observe the Candelabra, which is a large geoglyph drawn in the side of the hill. The only way to observe the drawing is by boat as the land around drawing is closed to protect the figure. It is unsure whom and why it is drawn into the side of the hill and the scientist are unsure if it is related to the famous Nazca Lines. The town of Paracas around 20 kilometers from Pisco is the place to stay when in the area as it features many hotels from back packers to luxury properties all water front and are a great place to relax. Most feature swimming pools to enjoy the warm weather. For a tour of the reserve are available and feature stops at desert cliffs seeing the ocean, the desert and the forest. The reserve has beaches, which are home to thousands of different bird species. At Lagunillas beach, you can buy a tasty seafood lunch. The reserve features 74 known species of plants that survive in this dry and arid desert, 216 species of birds, 16 types of mammal, 10 types of reptiles and around 190 species of fish. The marine area covers 3350 square meters with 65 per cent sea, and 35 per cent rock and land. Further along the coast and inland, located in the Peru Desert is the town of Ica, famous for its production of wines and Pisco, a local Peruvian cocktail, the town is generally just passed through on the way to Lima, but located on the outskirts of the town is Huacachina Oasis, a must see. 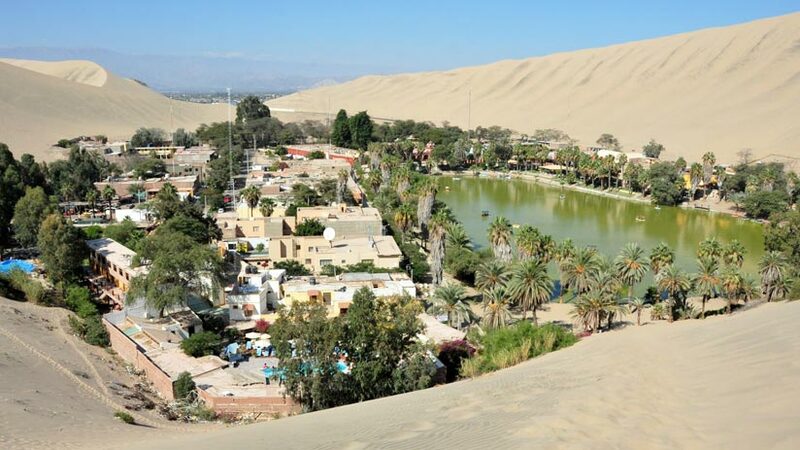 This oasis features a lake and many different extreme sports on the large sand dunes that cover the area. Tours in dune buggies are available for a small cost and sand boarding is a popular pastime. The oasis features restaurants for lunch and hotels of many different ratings to pass the night. From the town of Ica catch a taxi or a motor taxi for a few soles and enjoy a day of entertainment, remember that the sun is very strong so take your hat and plenty of water. Further south from Ica is the town of Nazca. You can arrive to Nazca from Lima by bus, which is around 6 hours, from Arequipa in the south, which is around 12 hours by bus, or from Cusco in the south of Peru in the high Andes, which is around 19 hours by bus. The town of Nazca is where you will be able to observe the mysterious Nazca Lines. So what is the best way to see the Nazca lines? You may ask, there is only two ways available to view the lines and the first and the best way to see them is by small plane. These tours can be expensive but the rewards are many. The ride generally takes around 30 minutes but in this time, you will see all the figures etched in the desert floor. Some of the figures include, monkey, lizard, spider and astronaut. Scientists are no closer to discovering who or why the lines were drawn in the desert floor. 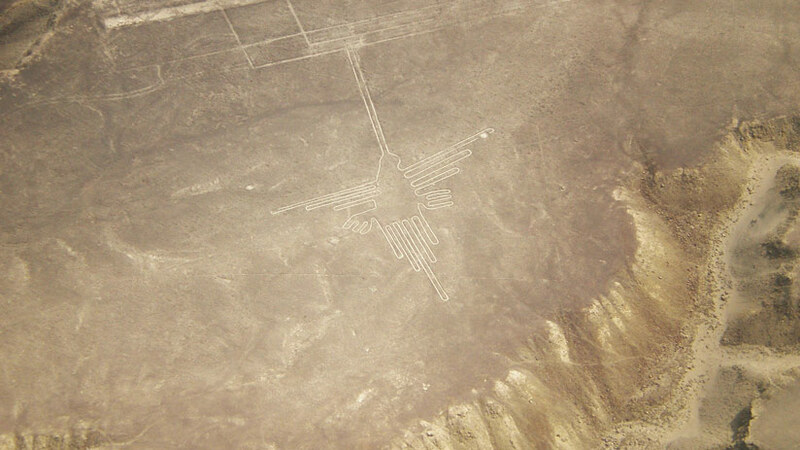 A must see on any trip to Peru the Nazca Lines will live in your memory forever. The other options to observe the Nazca Lines is by the observation tower located just outside the town of Nazca. From the tower you will observe two of the figures. If you do not like the idea of flying then this is the option of you. For a few soles, the tower is best visited in the morning as the winds can rise in the afternoon making the visit impossible. The Peru Desert Coast you must put on your list for your Peru holidays. Discover all the area has to offer and the rest of Peru features ancient cultures, stunning natural beauty, amazing Amazon rainforest and ruins beyond compare, book you Peru adventure today. Luxury Travel, Travel To Peru family vacations. permalink.